Akbar is joint head of our Corporate department, starting at Glaisyers in September 2018. He has been working in the legal services industry since 2011 and qualified as a solicitor in February of 2015. His years of experience have shaped him into a talented corporate solicitor with experience in transactional mergers and acquisitions and advising clients from owner managed and SMEs to large corporates. Another strength is his ability to provide expert advice and oversight in complex negotiations. His expertise comes from the time he has spent at a leading global US law firm, in-house position with Swiss corporate and his own business. 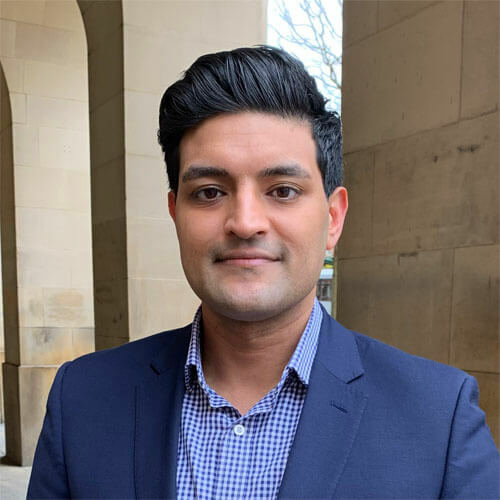 Originally from Liverpool, he attended John Moores University where he received his Law LLB Hons and LLM in International Business, Corporate and Finance Law and completed his Legal Practice Course. He is also a board member at Family Housing Association (Birkenhead & Wirral) Ltd and a Visiting Lecturer at the University of Law. Outside of work he likes to travel, spend time with family and friends and play 5-aside football.